1948 Leaf – The Boxing Set of the Century? Well, we are about a week removed from the so-called Fight of the Era between Floyd Mayweather and Manny Pacquiao. While it didn’t turn out to be the action-packed fight that most casual boxing fans hoped for, the sport will go on. Boxing, much like baseball, has a very rich history. A long line of legendary names have laced up the gloves over the decades. In the hobby, one of the most desirable boxing card sets ever released is the 1948 Leaf issue. From Jack Dempsey to Joe Louis to an incredible rarity in Rocky Graziano, this difficult set is one that provides a stiff test for boxing collectors. In the following piece, explore the appeal and historical importance of this terrific set. The popularity of non-sports sets continues to grow over time, especially on the PSA Set Registry, as more and more collectors assemble sets based on iconic television shows, movies and characters. The allure of the fantasy world, bringing these fictional names and stories to life, is what this segment of the hobby is all about. That is certainly the case with Robin Hood, a story that has been told in various forms over the years. In 1957, Topps released a 60-card set based on the television series The Adventures of Robin Hood, which aired from 1955 to 1959. These colorized cards feature various characters and scenes, in a very bright format. In the next article, we talk to the collectors who pursue the man who stole from the rich to feed the poor. 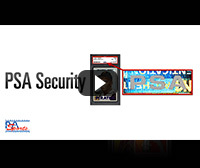 2015 PSA Set Registry Awards! The PSA Set Registry award deadline is Friday, May 29th. Any new sets or edits to existing sets must be published before 5:00 pm EST (2:00 pm PST). We do not extend the deadline for any reason, so please plan ahead. Prior to the deadline, please check each of your sets in contention to make sure that all the items are in place. As in previous years, awards will be presented at the annual PSA Set Registry Luncheon. Email invitations for the luncheon will be mailed out mid-June. For more information about the PSA Set Registry awards, please Click here. PSA has created the PSA Digital Card Album. Now you can show off your PSA Set Registry trading cars in a customizable, online album, even if your cards are stored far away for safe keeping. Like the PSA Set Registry, the Digital Album is free and easy to use. To learn more, please view the step-by-step guide. We’ve also added a new category for Best Digital Card Album award. We will be taking nominations until 5/15/15. Candidates should have high quality front and back images, an interesting set description and be complete. Send your nomination to [email protected] with the name of the album and a direct link to the album. Once all nominations are in, you will be given an opportunity to vote for your favorite. It is now easier than ever to find the cards needed to upgrade and complete your collections on the PSA Set Registry. The new PSA Shop Button feature lets you conveniently find nearly every card offered online. The Shop feature is a free service available to all members of the PSA Set Registry, the hobby’s most popular online tool for organizing and analyzing your PSA card collection. 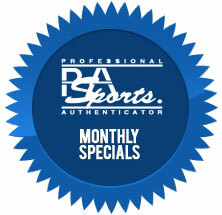 To start your free Set Registry account and to learn more, please visit www.psacard.com/PSASetRegistry/. Exclusive to PSA Set Registry members, you now have the ability to upload your inventory from a new location in My Inventory to sell on Collectors Corner. Collectors Corner cards now show up in the new PSA Shop feature exposing your items for sale to a much larger audience. To get started, login to MSR, move the inventory you want to sell to the CC Sales location, determine your selling preferences and price and upload to Collectors Corner. For more information, email [email protected]. Know your cardboard? Prove it! Play PSA CardSlugger to test your skills. More new cards have been added to the game! Just weeks after breaking multiple hobby records with more than $9.8 million realized in its February 2015 New York Platinum Night auction, Heritage storms back into the hobby headlines with its May 2015 Signature® auction featuring nearly 4,000 lots of rare trading cards and sports memorabilia. Coinciding with the rollout of a newly designed, state of the art website, Mile High Card Company is pleased to announce its Spring 2015 Elite Extra Innings Auction, which concludes on Thursday, May 14th. In addition to the normal array of moderately priced items, some of the hottest and most exclusive cards in the hobby will be offered. Sirius Sports Cards Auction #133 is in progress. There are over 700+ lots for auction that will end on Thursday, May 14th, 2015 at 11 PM EST using the 15 minute rule. This auction features many high grade and low pop cards for collectors to complete their sets from the 1950s through the 2000s. Last summer, Goldin Auctions’ Babe Ruth 100th Anniversary Live Auction made national headlines and saw many record prices realized. This year, the company’s summer event will feature both a Live Auction at The National Sports Collector’s Convention in Chicago on July 31st and a conventional catalog/online auction at www.GoldinAuctions.com through August 8th. A 1951 Bowman Mickey Mantle graded PSA 8 (NM/MT) sold for $95,600 early Sunday in Memory Lane’s Spring Break Auction. The price was the highest ever attained for a Bowman Mantle rookie card at public auction. Fewer than 50 Bowman Mantles have been graded 8 by PSA with only nine PSA 9s and one ten in existence. Just five years ago, the price on a Mantle’s ’true’ rookie card from his debut season with the New York Yankees in the same grade, was around $20,000. PWCC Auctions is offering 15,700 high-end lots, spanning all sports and genres in their Premier Auction #4. Auction features 528 Lots from the four major sports, including Boxing and Non Sports. Hall of Famers/Commons, Graded/Ungraded, there is something for everyone. Value aside, which of the following is your favorite boxing card of all time? Click here to answer; and to view the latest issue’s survey results. © 1999 - 2015 Professional Sports Authenticator. All Rights Reserved. (800) 325-1121 ext. 356 or directly at: (949)567-1356.